VietNamNet Bridge - Vietnam has become an even more attractive destination amid escalating trade disputes. The land leasing rate in industrial zones (IZ) has soared since mid-2018, and is expected to continue in 2019. The increase in labor costs in China has led to many foreign manufacturers’ relocating their facilities since 2015. The relocation trend accelerated recently because of the US-China trade war. Vietnam’s business environment has improved considerably, jumping by 24 grades just within three years to 69th in the World Bank’s report. Vietnam has attractive advantages, including a strategic position in Asia and border with China, with favorable conditions for road transport. The IZs in Vietnam are connected with seaports, and wide roads and highways which have been built and upgraded. A report from the Ministry of Planning and Investment said the occupancy rate of IZs in Vietnam is now 73 percent. Meanwhile, 90 percent of commercial land in Thailand had been used by the end of Q2 2018, according to CBRE. Thailand has many automobile manufacturing facilities, while Vietnam has been chosen by technology conglomerates over the last 10 years. Samsung, LG and other groups have been in Vietnam for more than 10 years, generating large demand for land in the north. The labor force and the favorable conditions in accessing suppliers both have provided a solid platform for production activities in the region. Rong Viet Securities believes the big demand for land leasing may come from Samsung Display and LG Display’s plans to increase production of OLED screens in Vietnam, as well as from solar power projects and Vinfast’s automobile manufacturing. The current land rent is $82 per square meter for 50 years in the north, which is 13 percent higher than the rent in the south. Rong Viet Securities’ economists believe that the Kinh Bac Urban Area Development Corporation (KBC) and Viglacera (VGC) will continue enjoying the biggest benefits. 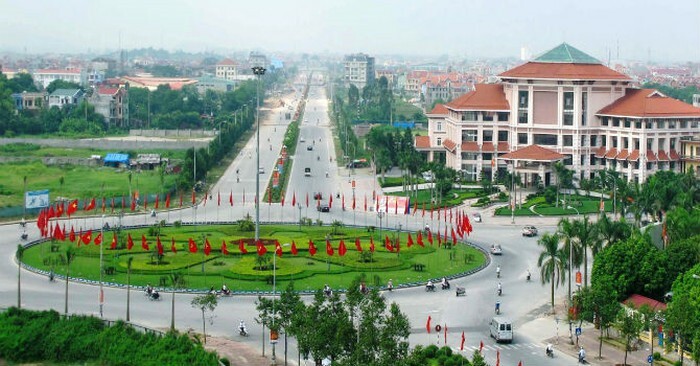 KBC hopes it can lease the remaining 843 hectares of land in Bac Ninh, Bac Giang and Hai Phong, while VGC now has 911 hectares of land in some northern provinces. Land tenants in HCMC may come from different industries, including heavy industry and chemicals. The US-China trade war has recently encouraged enterprises, mostly small and medium sized, to relocate their business from Taiwan and China to southern IZs of Vietnam. This will bring benefits to Long Hau JSC (LHG) and Nam Tan Uyen IZ (NTC).